After poor show in Uttar Pradesh assembly election, where BJP could secure only 47 seats, four less than it had in 2007 polls, in the 403 member Assembly, RSS said that it is difficult for BJP to come into the power in 2014 election. 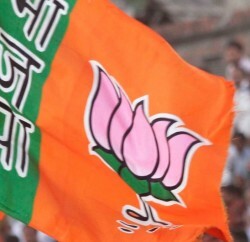 RSS said that BJP is suffering from Congress patch in UP, and further added that it will be difficult for the saffron party, which has a “bigger army of leaders than workers” in the state, to come to power in 2014 Lok Sabha elections unless it answers the questions posed by assembly poll results. In the editorials of its mouthpieces Organiser and Panchjanya, the Sangh asked the BJP as to why it could not be the choice for voters despite having an organised structure and cadre in the state. 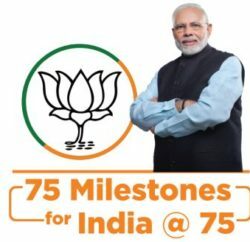 It seems that BJP is disconnected from the people and need to resurrect itself before it is too late to recover. To quite an extent, it is true. There is no dearth of crony leaders in BJP. Many of them without any mass base or mass appeal. Clinging to Bigger leaders Apron strings, they manage posts and Rajya Sabha & other tickets. How can they resurrect the party at grass-roots? 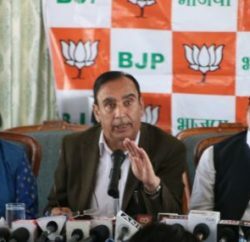 Himachal Pradesh BP unit is facing the revolt within the State cadre as few of its noted faces have floated a new political outfit Himachal Lokhit Party and several of its workers have joined it. HLP can share BJP vote bank in the state and can pose difficulties for the ruling party to come into the power again. It is also feared that Himachal can enroll in the list where BJP can fail due to the power hungry leaders within the party.